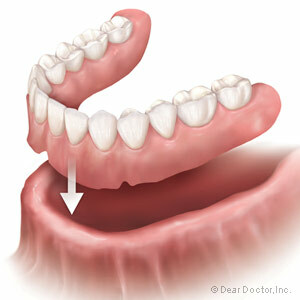 Dentures serve a number of purposes for people who have missing teeth. For one, they give you back your confidence and full oral function. They also help to shape your jawline and face. Take some time to learn more about the different types of dentures and what type of denture appliance may be right for you from Syracuse Drs. Karen Lawitts and Nancy Yeates. Complete dentures are designed to fit over an entire gum line. They look like a full model of the teeth with a pink base that mimics the look of the gums and bright, white teeth made of acrylic material. 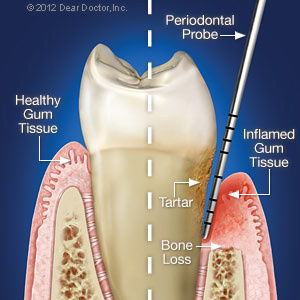 They are either immediate (placed immediately after decayed teeth have been removed) or conventional (placed about 12 weeks after the gums have fully healed). A full denture can be created for the top row, bottom row or both. A partial denture is an appliance that’s designed to work in concert with healthy teeth to fill spaces in your smile. The denture is made of a combination of an acrylic base (gum and teeth) and metal attachments that are designed to hook onto your healthy remaining teeth for support. You may have to schedule time with Drs. 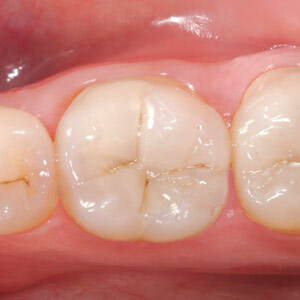 Lawitts and Yeates for a tooth cleaning in advance of your denture fitting. Which Dentures Are Right for Me? The type of denture that is right for you mostly depends on the health of your existing teeth. If you have teeth that are healthy, decay-free and strongly rooted, partial dentures are likely to be the best choice. If you have a lot of missing teeth and the rest are already decayed beyond saving, then extractions and complete dentures will likely be recommended to give you back a beautiful and healthy smile. The only way to know for sure which type of denture appliance (partial or complete) is right for you is to contact the office of Drs. Karen Lawitts and Nancy Yeates in Syracuse. Call (315) 492-8138 to set up a denture consultation today.